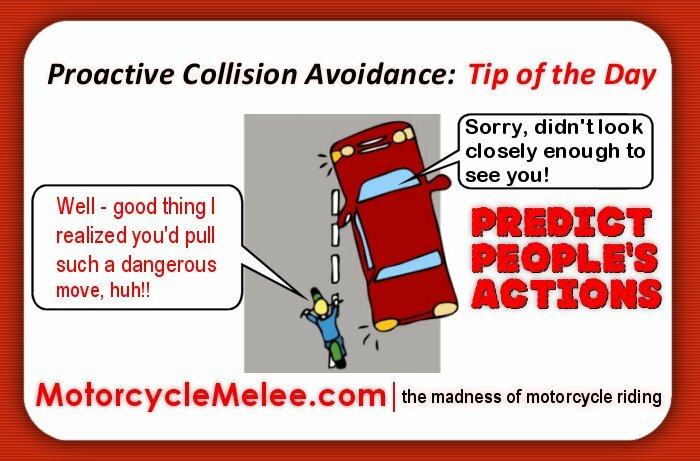 Motorcycle Melee Minute – proactive collision avoidance tips in 1 minute or less! When you ride your motorcycle behind another vehicle what’s your following distance? 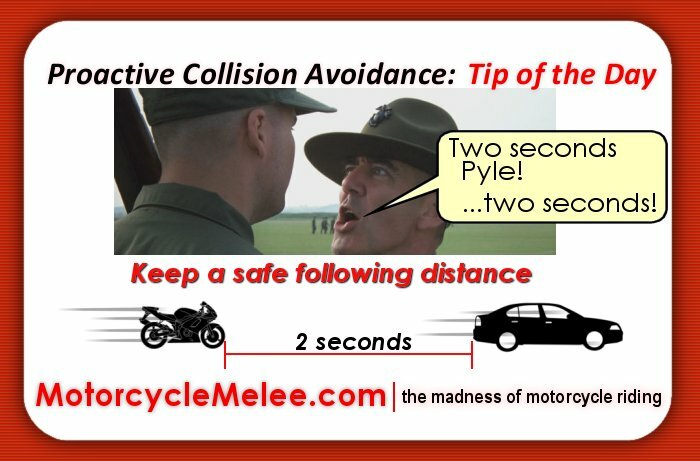 Did you know that motorcycle safety instructors recommend a 2-second following rule? This allows you to have a good reaction time to prevent crashing into that vehicle. 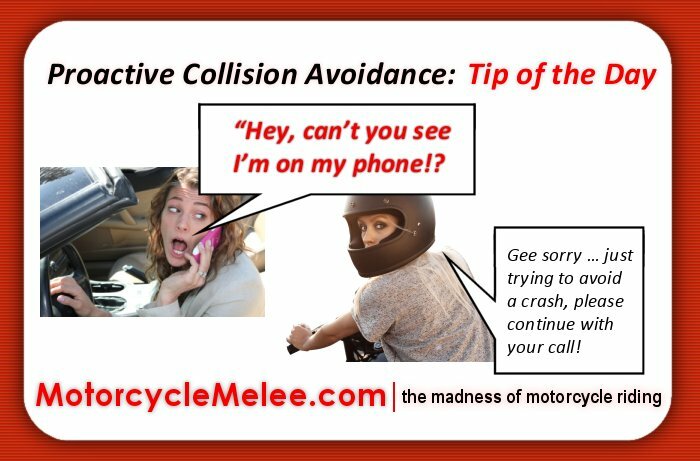 As you travel, pick a stationary object that the vehicle in front of you passses. When you reach two-thousand you should pass that same stationary object. 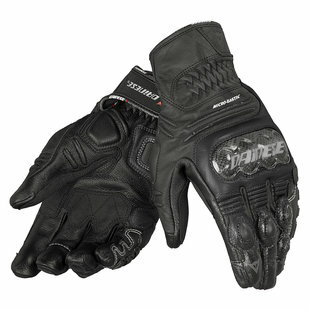 This works everywhere you ride – city streets, rural roads and – most importantly – highway roads. Next time you’re out there riding – give this a try.